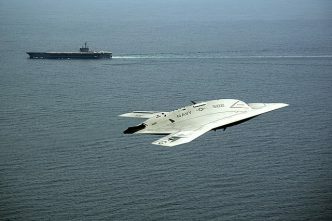 [D]iplomacy and defense are not substitutes for one another. Either alone would fail. [A] more strategic and integrated approach to International Engagement and security cooperation must be a core component of Army’s mission into the future. Every new century has brought security challenges with it, and the 21st is no exception. However, what distinguishes the 21st century from the 20th is the multilevel, complex and dynamic nature of security challenges that nation-states face today. 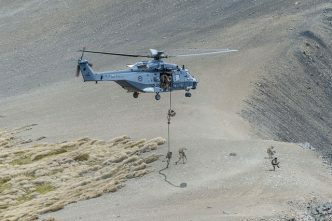 Changes in those challenges have already stretched the options available to states to deal with them, and the effectiveness of traditional tools, such as defence forces, has been increasingly questioned. 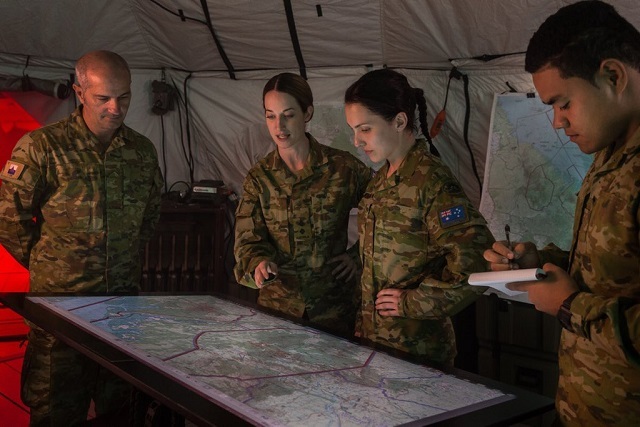 In Australia, the ADF’s international engagement in a range of measures has been a notable response. The research literature shows that one area where the traditional role of defence institutions has changed since the end of the Cold War is defence diplomacy, which offers a way to meet security challenges while maintaining a low risk profile. As Australia faces increasing competition for influence in its neighbourhood, particularly in the South Pacific, defence diplomacy is more relevant than ever before. It was identified as a key enabler to realise the strategic defence interests and meet the objectives outlined in the 2016 defence white paper and elaborated in the 2017 foreign policy white paper. The exercise of soft power through diplomacy by subnational agencies with hard power, such as the army, can pay political and security dividends that build, sustain and expand strategic influence in the region. It can provide opportunities, security and strength—key benefits that consolidate national power. However, it can work effectively only when it’s supported and strengthened by non-military instruments (so-called Track 2 diplomacy). representing the nation and armed forces at official ceremonies and similar events. To that list, we could add creating a shared strategic understanding and approach; building security partnerships; creating and maintaining strategic influence; and diffusing tension and avoiding conflict. Each of the three military services can contribute to achieving those objectives. The Australian Army’s role is particularly significant, as it’s the service with the greatest focus on people. It routinely engages in operations, sometimes in collaboration with civilian actors, that shape the military’s role in the region, especially in the pre-conflict stage. Although the army’s primary role is to fight and win wars, it hasn’t shied away from the use of soft power. Unlike the air force and navy, whose roles are limited to domains where not much routine daily human activity happens, the army commands the land domain, where people live and act. The pre-eminence of the army over the other services, especially in Southeast Asia and the South Pacific, strengthens the case for it to take a leadership role in that arena. 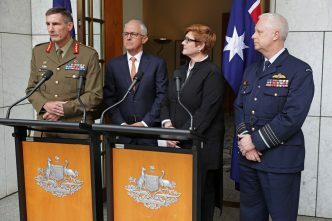 The practice of defence diplomacy, on behalf of the Defence organisation in particular and the Australian government more broadly, can be a suitable role for the army in the 21st century. There’s no strong reason to restrict its role to one stage in the conflict spectrum. When backed by appropriate resources, the army can benefit not only defence but also the political and economic streams of diplomacy led and managed by the Department of Foreign Affairs and Trade. The emerging power play in the Pacific, shaped by US–China competition for hegemony, demands that Australia remain closely engaged with regional countries in order to achieve its own strategic interests and objectives. The Australian government has responded positively to the need for deeper regional engagement through its expanded aid budget for 2018–19. The increased funding provides a window of opportunity for Defence to strengthen its relationships with key allies in the neighbourhood and generate strategic gains. But more needs to be done, and the army is well positioned to show the leadership needed to use soft power to achieve national goals. However, defence diplomacy can be effective only when it’s synchronised with other levers of government power, including trade, aid, political relations, culture and people-to-people contacts. In other words, a whole-of-government position can strengthen the message delivered through defence diplomacy. To manage the security challenges of today and prepare for tomorrow, no state can rely exclusively on one level of external engagement, irrespective of its capability in that stream. States also need to clearly define the boundaries of non-military instruments of external policy so that conflicts between the policies and actions of two or more instruments can be avoided. The army’s defence diplomacy must align with whole-of-government efforts and nest within a clearly focused national security strategy. The geopolitics of the Indo-Pacific is changing rapidly. Australia is yet to come up with a holistic and proportionate response. As a middle power, Australia doesn’t have the luxury of a superpower’s wealth or strength, so it needs a strategy that can give maximum returns on limited resources. 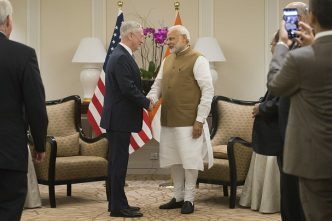 Defence diplomacy can yield higher returns on investment, especially in the short term, but only if it’s employed as part of a coordinated whole-of-government plan. After all, investing in peace can be less costly than fighting a war, let alone winning one. The army stands ready to lead. Joyo Sanyal is an academic research officer in the Australian Army Research Centre. The views expressed here are his own and don’t necessarily reflect the official policy or position of the Australian Army, the Department of Defence or the Australian government. Image courtesy of @ChiefAusArmy on Twitter.